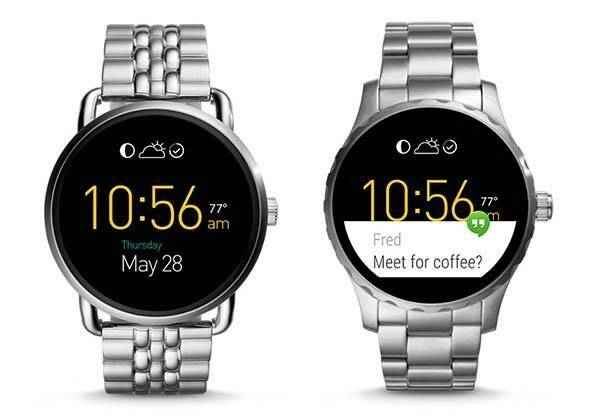 Fossil has released its latest two smartwatches: Q Wander and Q Marshal. Using built-in Bluetooth, the smartwatches wirelessly communicates with your smartphone, and integrated activity tracker monitors your daily activities. Fossil Q Wander and Q Marshal are two beautifully designed and fashionable smartwatches. As we can see from the images, both smartwatches follow the classic design of rounded analog watch, and the Q Wander features a sleek soft curving, multi-finish case with artfully sculpted wire lugs, while the Q Marshal has a rugged case with gear-like bezel. 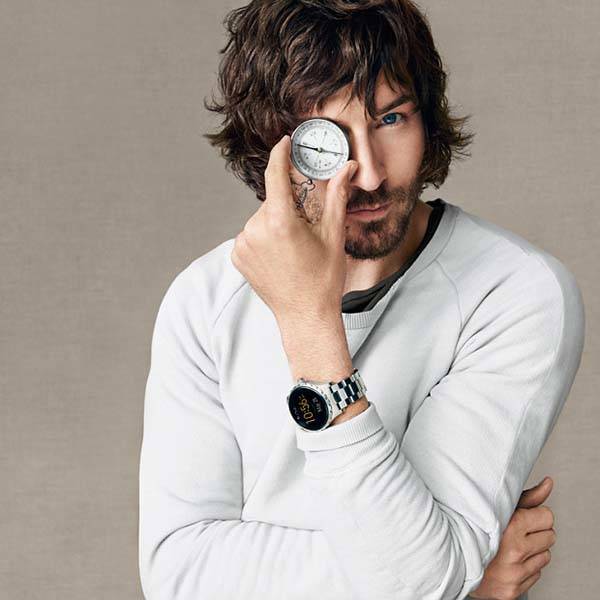 Meanwhile, both smartwatches have multiple optional straps in leather, silicone and stainless steel plus customizable dial’s color, numbering, hand style and color, and sub-eyes in order to add much personalized style to your Q Wander or Q Marshal. Both smartwatches utilize Bluetooth 4.1 to wirelessly connect with your iPhone or Android phone, and the rounded touchscreen not only shows you time, date, notifications, emails, messages and more info from your handset, but also allows you to interact with the connected phone. Furthermore, both smartwatches also feature built-in activity tracker that tracks your everyday accomplishments including steps, distance and calories burned. In addition, the two smartwatches are IP67 water resistant, and built-in rechargeable battery offers 24-hour battery life on a single charge. 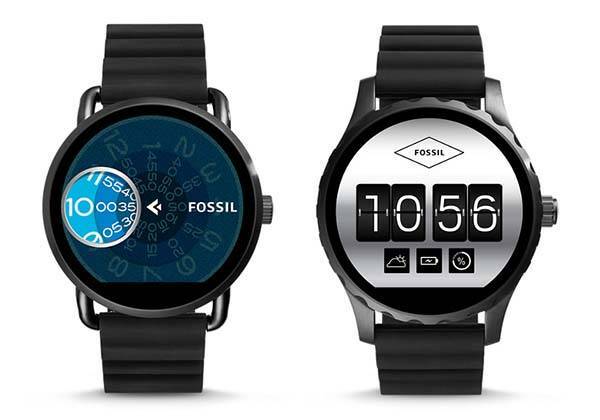 Fossil Q Wander and Q Marshal have been available for preorder. Each is priced at $295 USD. If you’re interested, jump to Fossil for their more details. BTW, also don’t miss Polar M600 GPS sports smartwatch and more related cool stuff by following tags.